Despite the obviously limited nature of our economic and environmental resources, the disproportionate level of waste associated with the renovation, repair, maintenance, sustainability, and new construction of buildings and infrastructure (dams, roads, utilities, airports, bridges…) continues unabated. …at the end of the day the single issue of importance is whether or not Owners, Architects, Engineers, Contractors, Consultants, and Oversight Groups have the basic skills and/or competency required to efficiently manage the life-cycle of the built environment. Accreditation, standards, business processes, certification… all are important, yet at the end of the day the single issue of importance is whether or not Owners, Architects, Engineers, Contractors, Consultants, and Oversight Groups have the basic skills and/or competency needed to efficiently manage the life-cycle of the built environment. Before even addressing the obvious requirements for restructured education and professional training among all stakeholders, understanding the core business areas/processes and associated competencies is step #1. Owners must demonstrate LEADERSHIP, in their role as steward of the built environment, and foster fundamental knowledge among their peers and all other parties involved. Formal and professional education must be updated, as must the overall “culture” of the AEC and Facility Management industry, to provide visibility into proven, efficient methods for life-cycle management of the built environment. As we have seen, technology is not the cause of the lack of productivity throughout the AEC sector, not is technology going to be the savior. For example, the adoption of BIM for life-cycle management (its most significant value proposition), despite the trivia from marketers and poorly designed research studies, has stagnated in the U.S. and the U.K. The reason for poor adoption is clear. Requisite focus and competence relative to asset life-cycle management doesn’t exist. While facility managers and associated organizations tout their prowess, the reality is that fewer than 5% of the AEC sector practices, or even understand the core requirements of efficient life-cycle management. Nor do these individuals have the skills to communicate the needs and drive change management within their organizations. 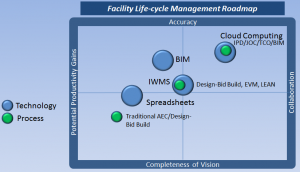 It’s the role of Facility Management Executives to close the VALUE GAP. We all know that in today’s world budget have dramatically shifted away from new construction to renovation, repair, maintenance, and sustainability of built structures. We all are also aware of the ad-hoc procedures and rampant associated waste associated with the billions of dollars being spent annually. Until we education ourselves and our community on the importance of early and ongoing collaboration, LEAN construction delivery methods, mutual respect/trust, team-based decision making, long term relationships, best value procurement, life-cycle costs versus first-cost, owner leadership without excessive management and control, continuous improvement, and key performance indicators…. the shift toward positive outcomes will simply not occur. A shift in focus to OUTCOMES and VALUE, and away from ad-hoc and commoditized services would greatly benefit the AEC and Facility Management sectors. Operational excellence on the part of real property owners and their supporting service providers has traditionally proven elusive. Facility management professionals can not remain complacent and/or satisfied with current levels of performance. Owners must demonstrate LEADERSHIP and support true strategic partnering with architects, engineers, contractors, business product manufactures, and building users. Focus must be upon transformation to truly collaborative LEAN construction delivery methods and innovation. Decisions must be team oriented and based upon current and actionable information. Information standardization in terms of common terms, definitions, and robust shared data architectures must be mandated. Owner focus upon teaming, best value procurement, outcomes, life-cycle costing, financial transparency, and shared knowledge, drive lower total cost of ownership,faster project delivery timelines, and higher quality. While globalization and centralized oversight will continue across all industries, the AEC sector and facility management are lagging. Local knowledge, capability, and consistent execution at a local level also requires rapid improvement. Competence development at all levels internal and external to the organization is necessary to meet increasing economic and environmental imperatives. 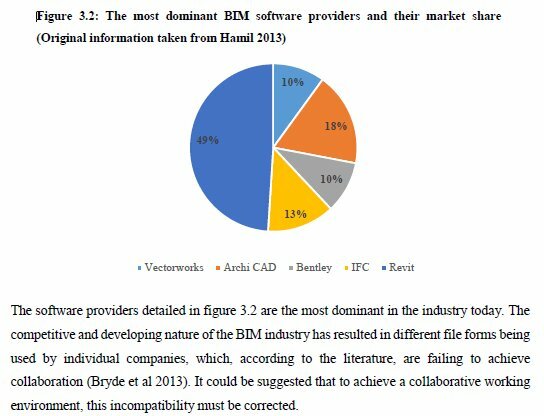 The study centered upon the development of Building Information Modelling (BIM) in the UK construction industry and its pontential affect on the role of the client’s construction manager (CM). 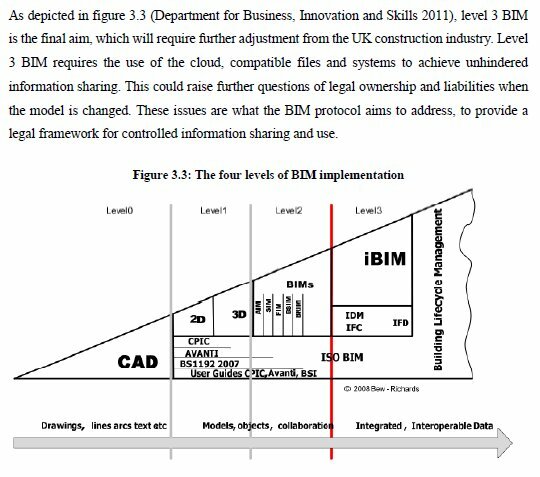 BIM in the UK was not as advanced as claimed in the literature. The majority of BIM use remained in the design, procurement and planning stages and as such, only isolated current impacts on the CM were suggested. 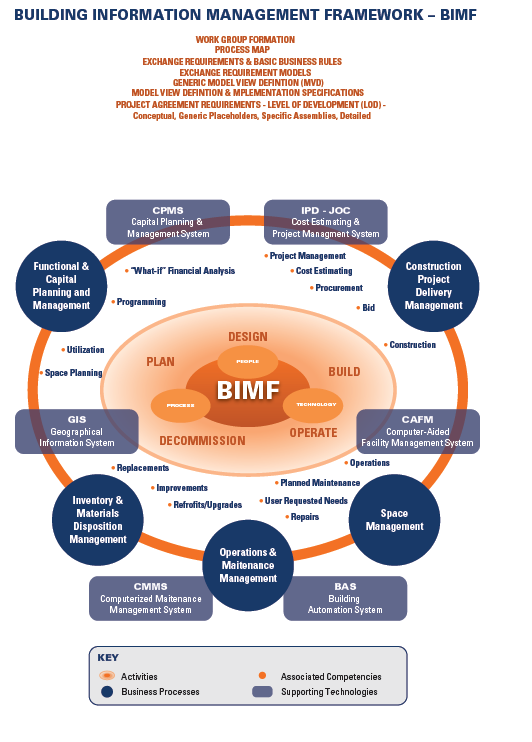 More guidance is needed, in order to place BIM in the future of UK construction…. if this does not occur, the development of BIM may stall. Potential impacts to the CM range from increased efficiencies on site, to loss of project control and increased legislation. The UK government 2016 deadline for BIM implementation on all UK public construction projects almost guarantees BIM in the future. The problem with the Construction sector – ‘In a building project, each partner usually plays a specific role. This role follows from the partners’ primary interest, and results in a specific view on the building. A designer’s primary interest is for example the spatial structure, a structural engineer’s primary interest is the load bearing structure, while an energy engineer is interested in climate zones. Industry resistance to change “ BIM requires a change in culture to implement the technology available. 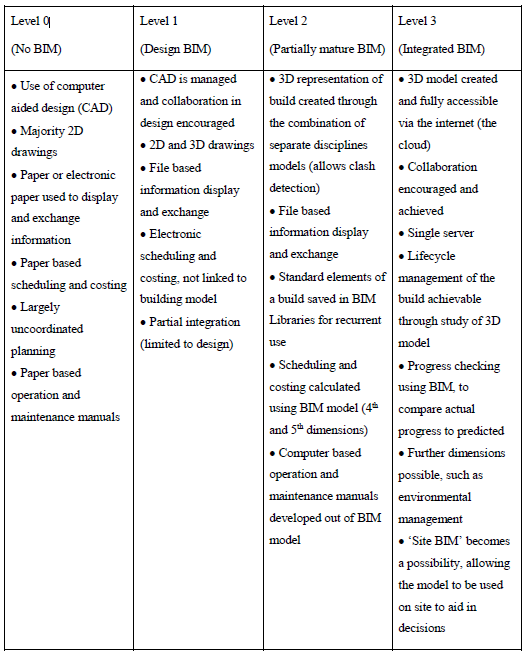 For example, the use of the BIM model to produce cost and time estimates has been identified as a paradigm shift (Gier 2008). A paradigm shift is a change from an established process and school of thought, to a new one, thus creating a change in cultures. It is in this paradigm shift where the barrier lies. As identified in the Egan report, 1998, the UK construction industry has a reputation of being slow to accept change (Egan 1998), which has caused it to lag behind the adoption of 3D modelling, when compared to other industries (Cabinet Office 2011). This reluctance to change could also create resistance to overcoming the barriers of trust detailed above. To increase trust, a change away from the current culture of information hording, to one of sharing and transparency should be made.